Here is a shot I snapped of Dr. Weaire teaching at the outdoor forum. 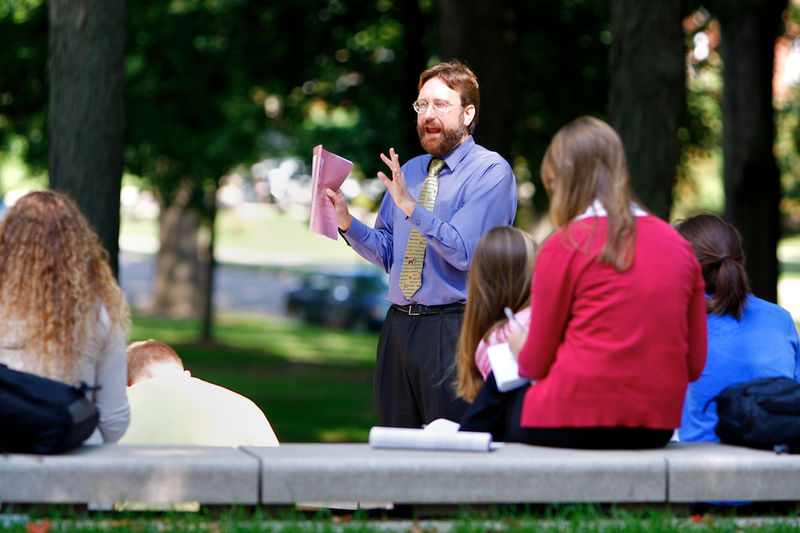 After the fog cleared this morning, the weather was beautiful, and many professors took their classes outdoors. Click on the photo to view it at a larger size.